Enlist HD Foundations For Foundation Repair. We’re Contractors That Resolve Problems. 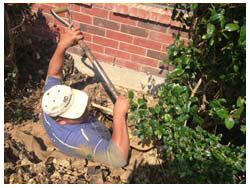 For Richardson foundation repair contractors you can count on, hire HD Foundations. Our company does the job right. We’re contractors that offer a warranty and perform free estimates. If you have concerns, get foundation repair solutions that will stop your foundation issues. Our company utilizes proper house leveling techniques to stop structural foundation damage. HD Foundations services pier and beam foundations as well as cracked concrete slabs. We eliminate foundation repair problems. We stabilize houses by installing pressed foundation piers, including pressed concrete foundation piers and steel piers. HD Foundation is a Better Business Bureau-affiliated company with an excellent rating. 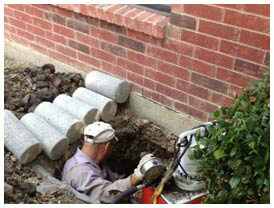 We’re residential foundation repair contractors that service houses, apartments, townhouses and more. We offer a terrific foundation repair warranty and restore schools, churches, and other buildings. We install and adjust foundation shims. Whether you have a slab foundation or pier and beam structure, we can re-shim it. We resolve problematic conditions such as cracked exterior brick and gaps in walls and ceilings. The contractors at HD Foundations make repairs that eliminate cracked slab foundations. We provide answers to foundation problems. We prevent sloping and sagging floors and restore moist crawl spaces under pier and foundations. If you need crawl space repair service, rely on the experienced foundation repair contractors at HD Foundations. 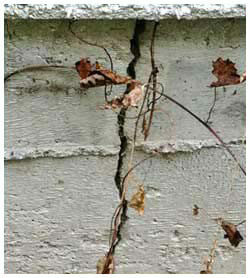 To preserve your property, ask us to stop by and examine your damaged foundation. We’ll perform a solid foundation evaluation. If you live in or around Richardson, foundation repair estimates can be scheduled free online today. Or, if you prefer, please just phone us.